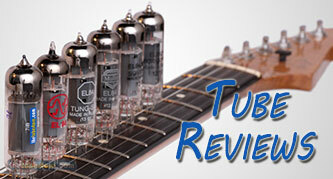 thetubestore.com has another terrific entry into their Preferred Series of vacuum tubes. The Preferred Series 6L6GC. This tube is an homage to the black plate 6L6GC made during the first golden age of tubes. It has the looks and the tone to match. The plate design is classic American 6L6. It can be found in tube designs from Sylvania, RCA and General Electric. A tall bottle with a unique dome, the shiny black plates are supported by heavy mica spacers at the top and bottom of the plate structure, and topped off with dual top mounted getters. The glass looks very smooth and is a medium thickness. The base of the tube is not real vintage looking, as it is blue instead of black. An attractive change for those that run open chassis designs in their audio equipment. This tube has a sound that I would characterize as smooth and warm. The high end is articulate but not sharp or brittle. Bass response is bigger than most but not boomy, so you still get good note definition. The midrange is very nice and thick without any tendency to sound nasal. In short, this sound is very much like an NOS tube made in the 1960’s. What it does not have is any perceptible hiss or microphonics. It is a very quiet tube and should be great in combo guitar amps. Like all Preferred Series tubes, the PS-6L6GC has double the standard tube warranty and is burned in, tested and matched on precision equipment. I’m looking for something dynamic and open sounding in terms of 6L6GCs. Would this be it, you think? The TS 7581A seems like an option as well, should my Mesa Fifty/ Fifty get along with them. Cheers! I’m looking to replace the GT6L6 GC original tubes in my Fender Bassman 100t with autobias. These seem like a good option for bass. Would you recommend these or something else from your line? Well we don’t sell Groove Tubes so I can’t say I would recommend them. I would highly suggest taking a look at our Preferred Series 6L6GC for that amp. They absolutely bloom with outstandingly rich 3D tonality! They’re all I use now. I recently changed from the stock Groove Tubes in my Fender Blues Deluxe Reissue as the old tubes were starting to go a little microphonic and seemed to have lost some luster. Popping in the new Preferred Series, I had hoped to save my amp and return to the original sound and reason I loved the amp when I bought it 8 years ago. But…WOW. 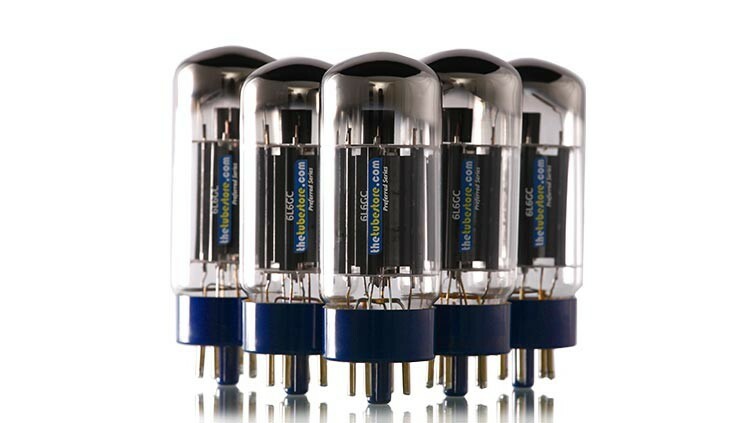 The Preferred tubes were just far more articulate in the high end, more headroom, more and better and smoother harmonics. The amp sounds better than stock. Very, very happy with the move to the Preferred Tubes.